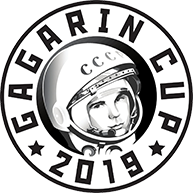 To get the invitation letter for GAGARIN CUP, You need to fill up the information data and send it to us with the scan copy of your passport. We will send the letter to the Consulate of Russian Embassy at Your country and the copy of this letter to You. You need to go to the Russian Embassy at You country/city with printed invitation letter and ask for the Visa with the period You need.